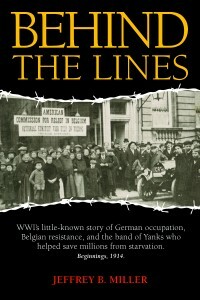 During World War I, Herbert Hoover and the Commission for Relief in Belgium (CRB) initiated, organized, and supervised the largest food and relief drive the world had ever seen. Working with Emile Francqui and the Comite National, the two groups helped save from starvation 9 million Belgians and Northern French trapped behind German lines. This nonfiction book follows a 22-year-old Belgian woman, a Belgian priest, and a Belgian businessman — all of whom worked in the underground against the Germans — as well as a handful of CRB delegates and two U.S. diplomats.